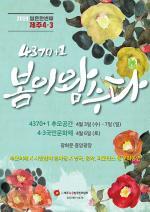 On October 5 and 6, 'Jeju Goma-ro Festival' will be held near Goma-ro and Sinsan Park Plaza in Ildo 2-dong, Jeju-si. The festival first started in 2014 and is the fifth year this year. The festival, which began in order to promote and inherit the history of the ancient wooden horse, a landscape of the Gomajang and one of the Yeongju twelve scenic views. Moreover, horse parade, horse sculpture exhibition and horse meat tasting will be held this year. The Jeju Horse Festival, the longest-running traditional Korean horse festival, marks the 15th anniversary this year. It will be held on October 13 and 14 in Jeju Let’s Run Park. It is full of horse-related programs such as horse performances, horse industry expo, horse zoos, 218 meters horse sausage tasting, and horse race-running. Famous singer Kim Soo-hee will be a special guest of the 7080 Romantic Concert celebrating the Jeju Special Self-Governing Horse Racing. 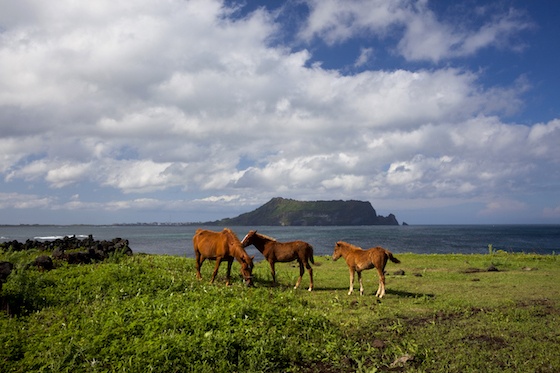 The Global Jeju Horse-People-Technical Forum will also be held to celebrate the festival. The final event, the Jeju Horse Racing Festival, will be held on October 20. It will be also held in Jeju Let’s Run Park, and a variety of events including youth obstacle horse riding, mixed relay competition, and a horse riding competition are prepared for families and friends to enjoy. The Jeju Let’s Run Park is located at 2144, Pyeonghwa-ro, Aewol-eup, Jeju-si. For more information, you can call 1330 Travel Hotline: +82-2-1330 (Korean, English, Japanese, Chinese) or visit the official website.